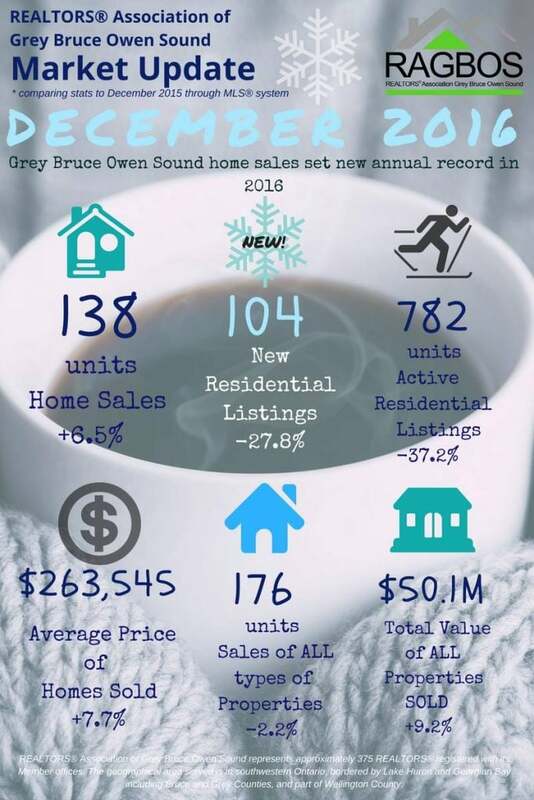 Residential sales activity recorded through the MLS® System of the REALTORS® Association of Grey Bruce Owen Sound were down 6.1 per cent on a year-over-year basis in December 2016. That said, it was still the second best December on record after December of 2015. Home sales numbered 138 units in December 2016. On an annual basis home sales totalled a record 3,030 units, up 16 per cent from the previous record set the year before. The average price of homes sold in December 2016 was $263,545, up 7.7 per cent yearover-year. The annual average price was 259,284 which was an increase of 5.9 per cent from a year earlier. 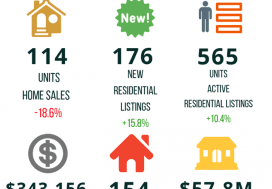 New residential listings on the Association’s MLS® System numbered 104 units in December 2016. This was a decrease of 27.8 per cent compared to December 2015. New supply has struggled to keep up with strong demand, which has led to historically tight market conditions. 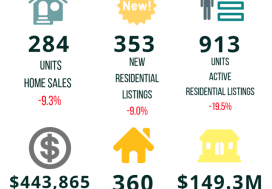 Active residential listings totalled 782 units at the end of December, down 37.2 per cent from the same time last year. This was the lowest level of supply ever recorded. The number of months of inventory stood at 5.7 at the end of December, down from 8.5 months a year earlier and the lowest level of any December on record. The number of months of inventory is the number of months it would take to sell current inventories at the current rate of sales activity. The dollar value of all home sales in December was $36.4 million, up 1.1 per cent on a year-over-year basis. Sales of all types of properties numbered 176 units in December 2016, down 2.2 per cent from the previous December. The total value of all properties sold in December 2016 was $50.1 million, an increase of 9.2 per cent from a year earlier. 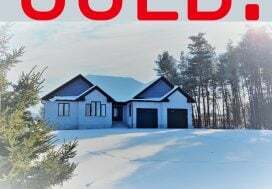 All information courtesy of The REALTORS® Association of Grey Bruce Owen Sound.